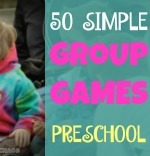 Easy Felt and Peanut Snowman Kids Crafts: Lapel Pins or Magnets. Mayhem (age 2) glued this together all by herself! We just cut appropriate shapes out of felt then glued on beads, bobbles and tiny pom-poms. We glued it all to a craft/popsicle stick with hot glue, then hot glued a craft safety pin to the back of the stick. 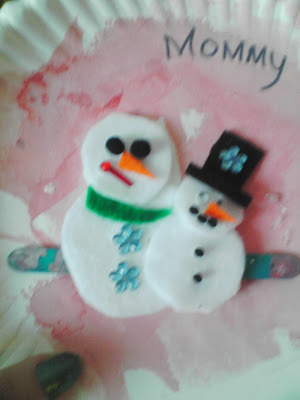 Moms will wear them with pride :-) For more Snowman Crafts click here. Here's another lapel pin made from a peanut or how about safety pin jewelry. 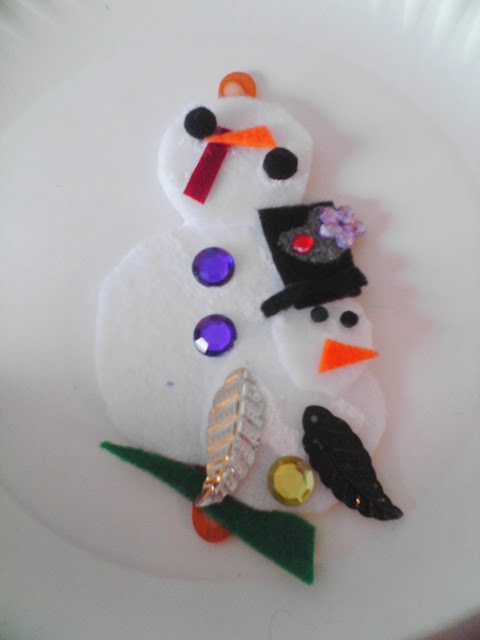 Snowman Peanut Lapel Pin Button for kids to make.